With over 20 years of collegiate swim coaching experience, Kim Brackin has proven her dedication to helping swimmers reach their potential as elite athletes. 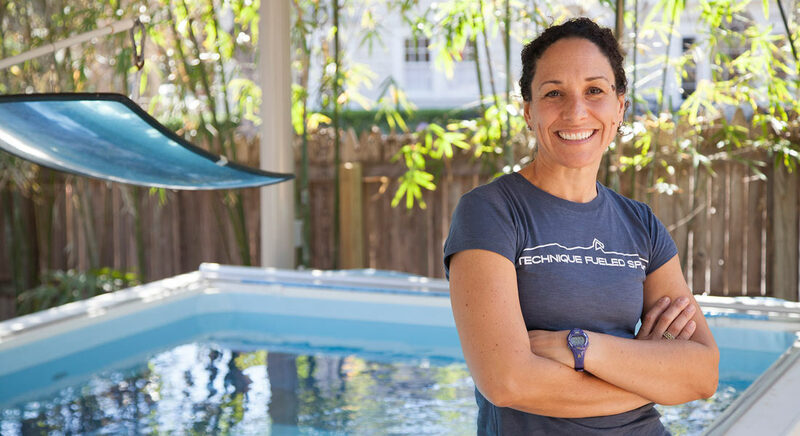 Her passion has driven her to build her own business, Brackin Elite Swim Training, so that she can provide one-on-one coaching to high-performance athletes using the latest technology. Since opening her personal training facility in Austin, TX in 2012, Coach Brackin and her talented coaching staff have coached National Junior Team members, Olympic Trials qualifiers, TAGS champions as well as swimmers just beginning their career! Coach Brackin is careful to ensure that she mentors all of her coaches to teach within the same philosophy that helped her guide promising high school recruits to Olympic, World, NCAA, & Conference Champions. BEST was developed to help young athletes learn some of the same technical and racing strategies that helped her world-class athletes succeed. With international experience at the highest levels of competition, Coach Brackin helped bring the Auburn University and University of Texas women’s swim teams to new heights. After acting as head coach for the Zimbabwe National Team and coaching swimmer Kirsty Coventry to Olympic gold across the 2004, 2008, 2012 and 2016 Olympic Games, Coach Brackin continues working one-on-one with driven athletes. She is thrilled to launch her St. Petersburg, FL based Brackin Elite Swim Training site in late 2018. Read a few of the testimonials clients have sent coach Brackin.